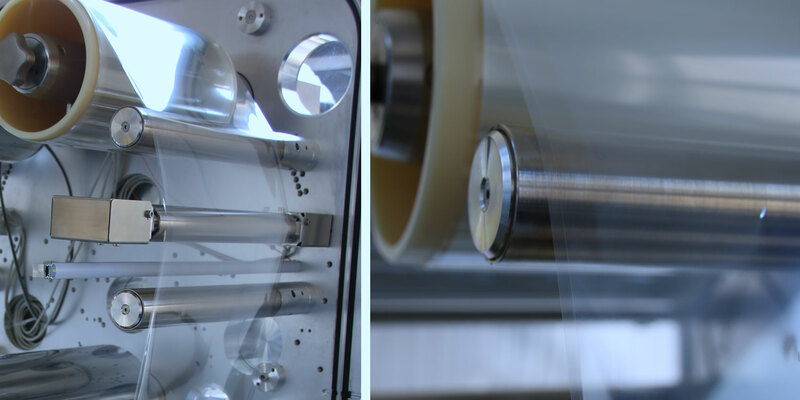 Many years of expertise in the field of R2R (roll-to-roll), for research and production. 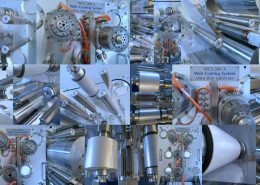 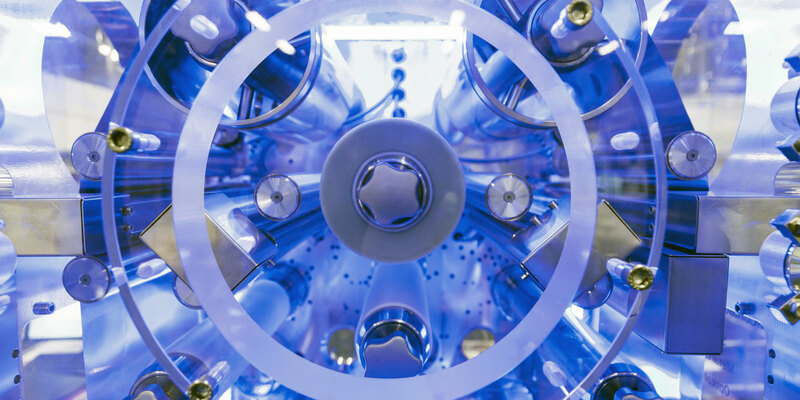 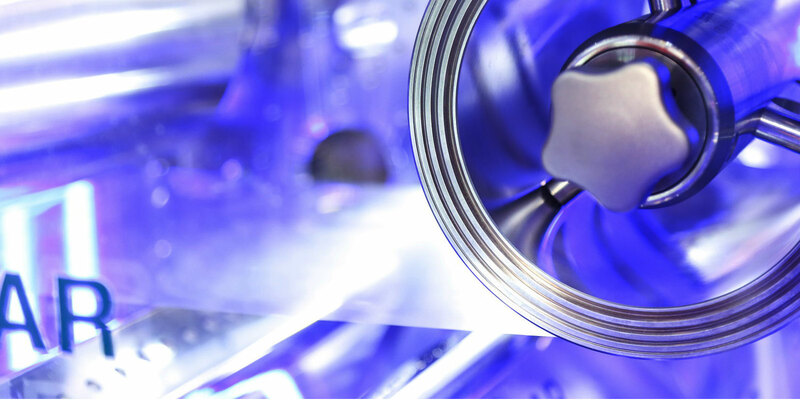 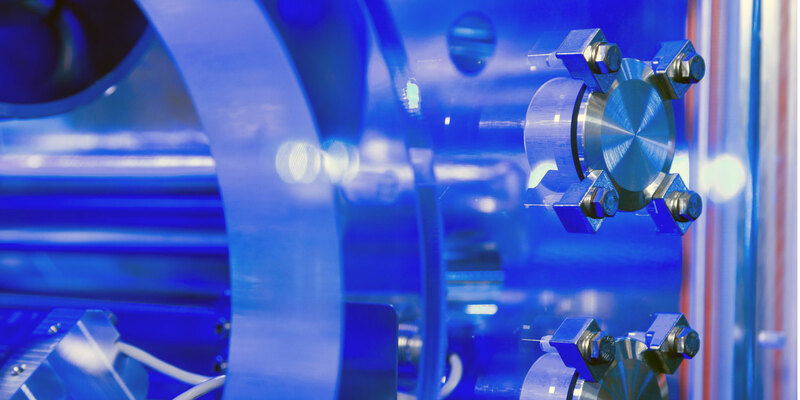 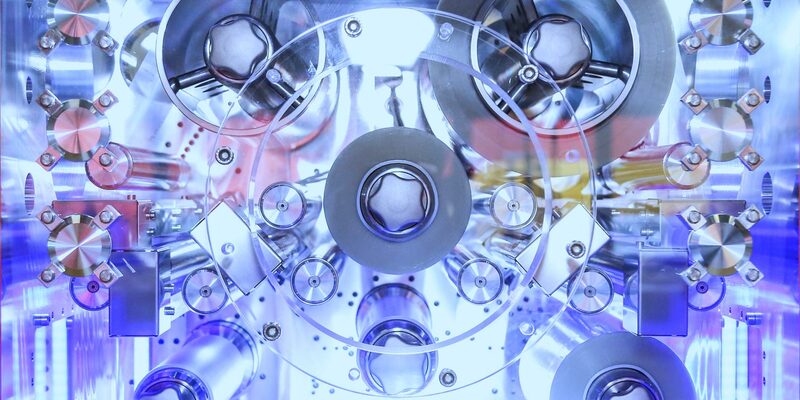 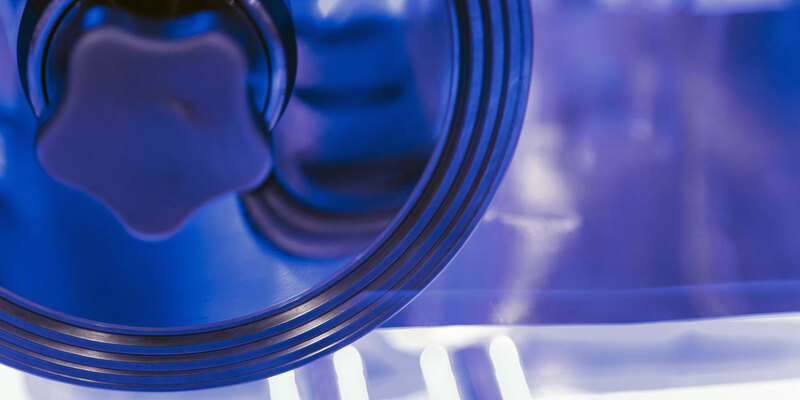 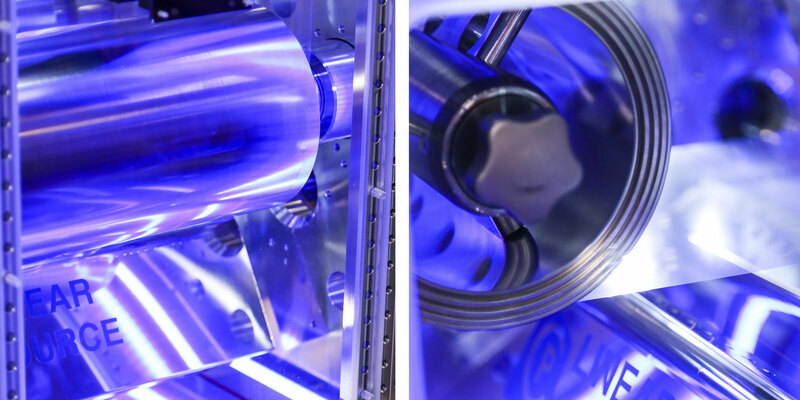 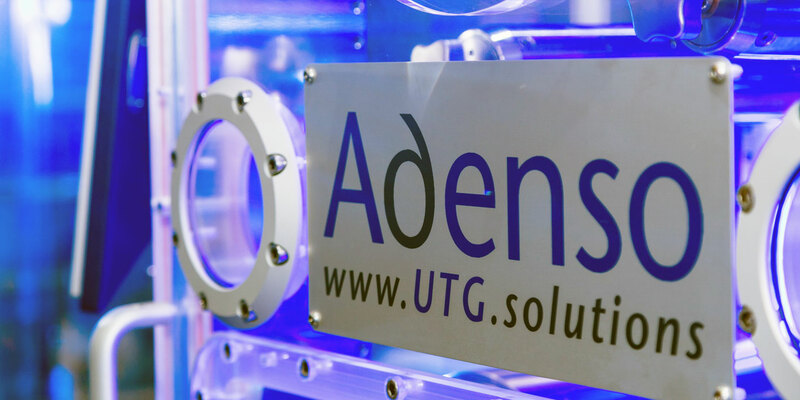 Adenso possesses extremely extensive specialist knowledge in the field of complex winding systems, also known as roll-to-roll R2R – especially in combination with application in high-vacuum environments. 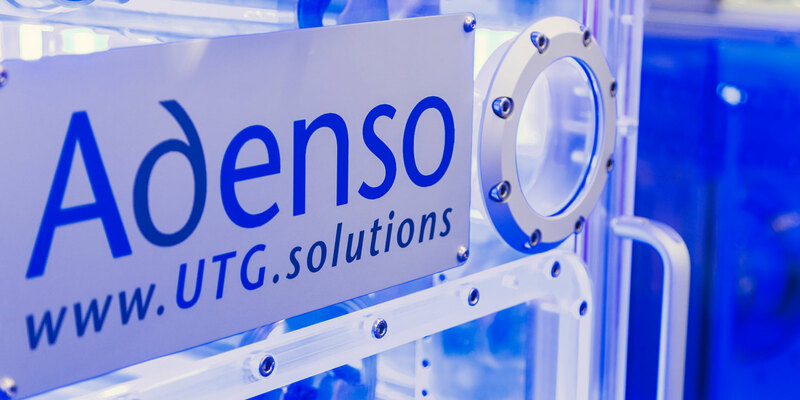 This experience allows Adenso not only to react to customer requirements quickly and in a competent manner, but to actively work on its own ideas and concepts. 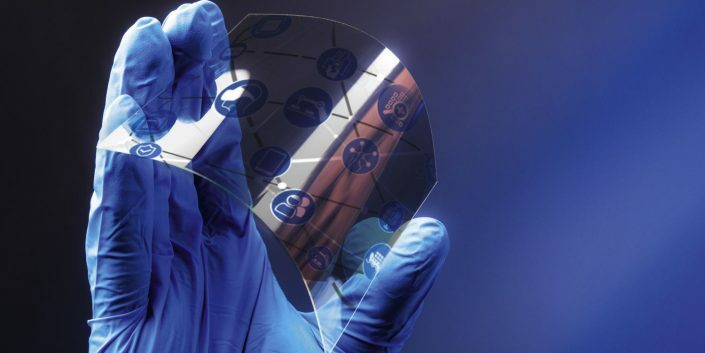 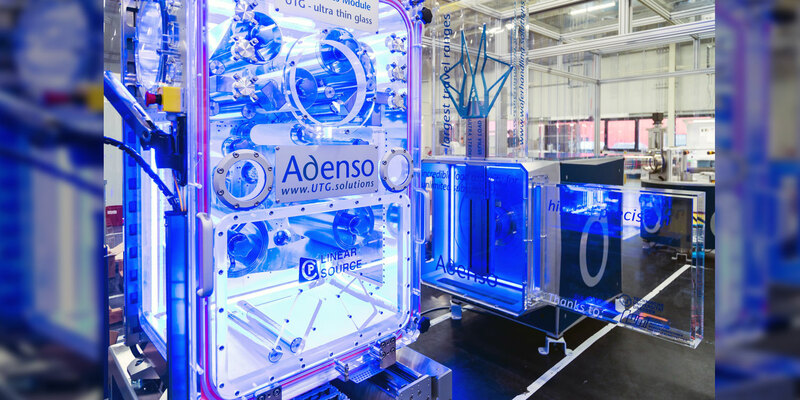 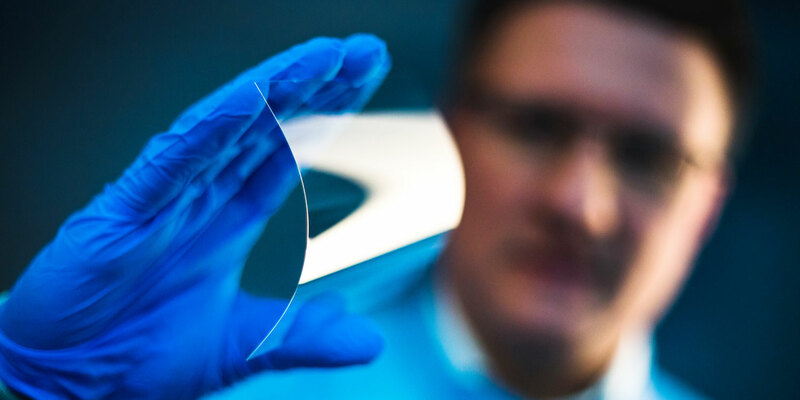 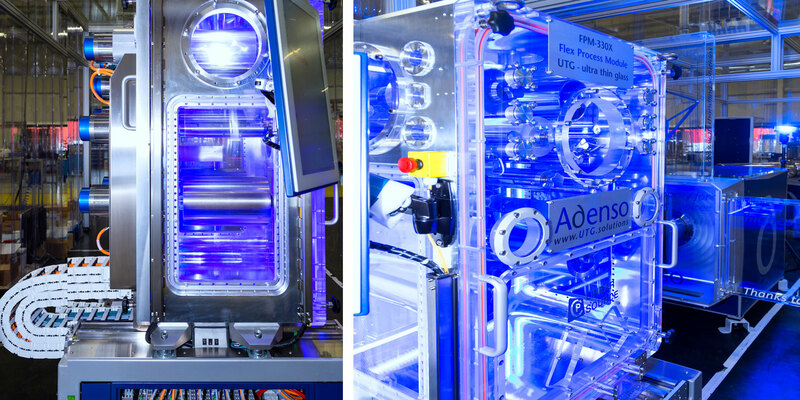 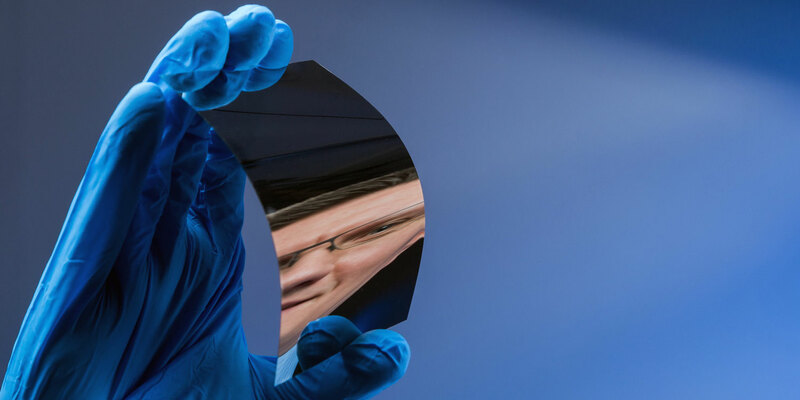 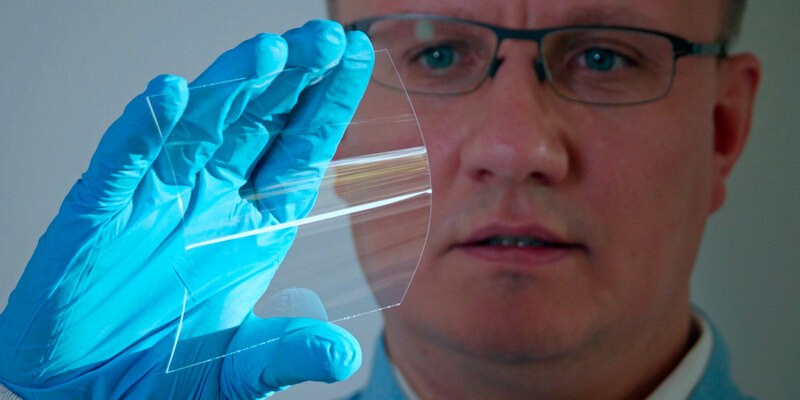 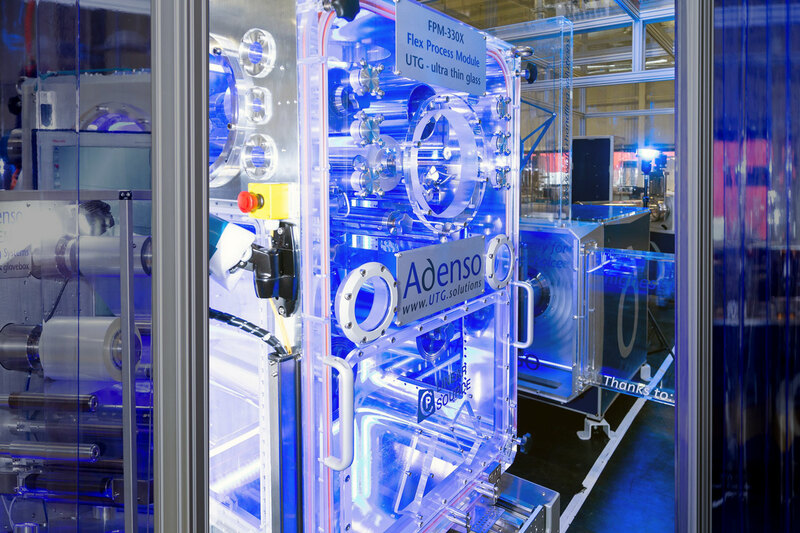 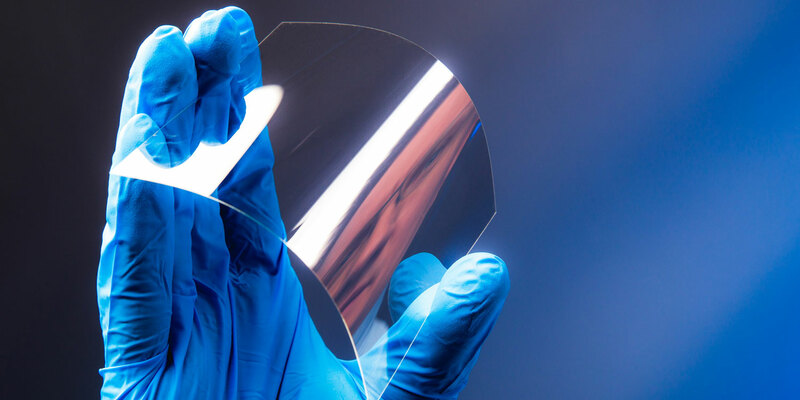 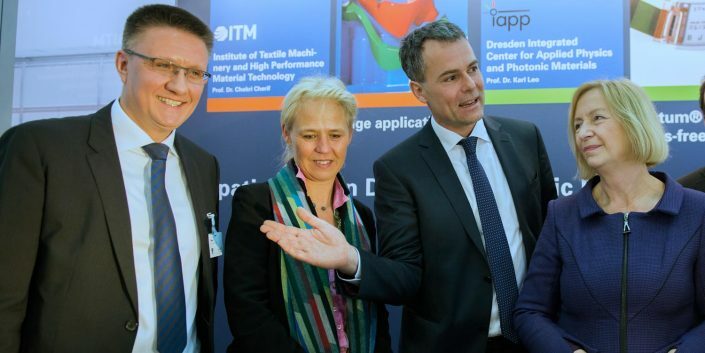 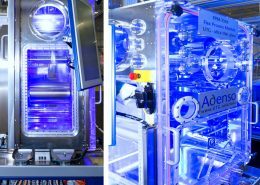 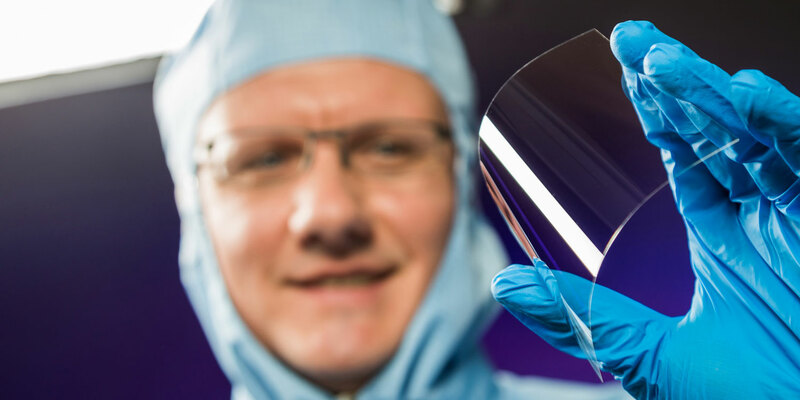 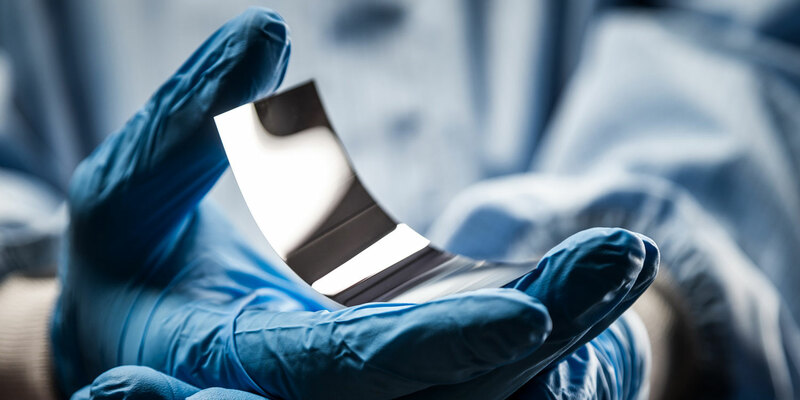 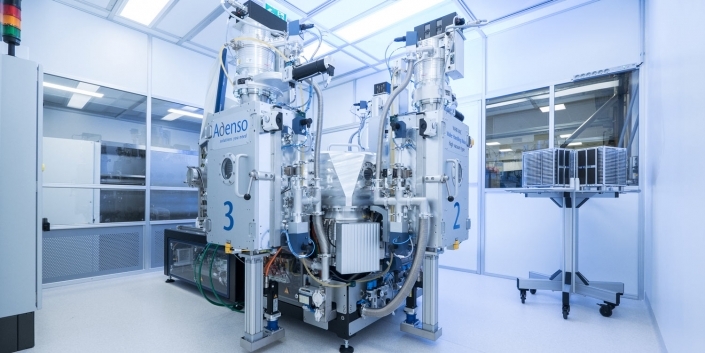 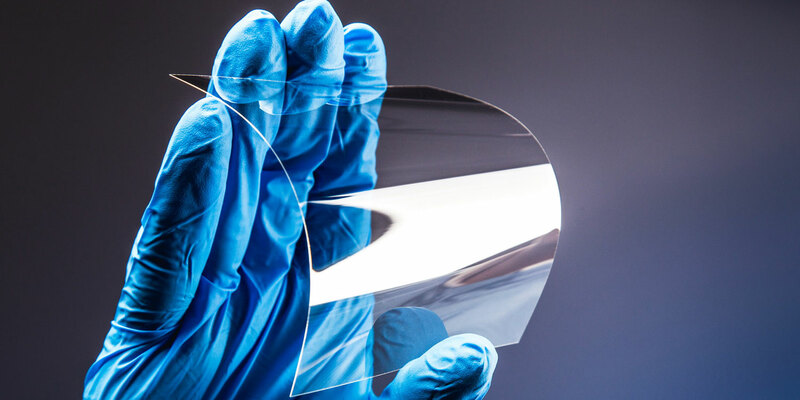 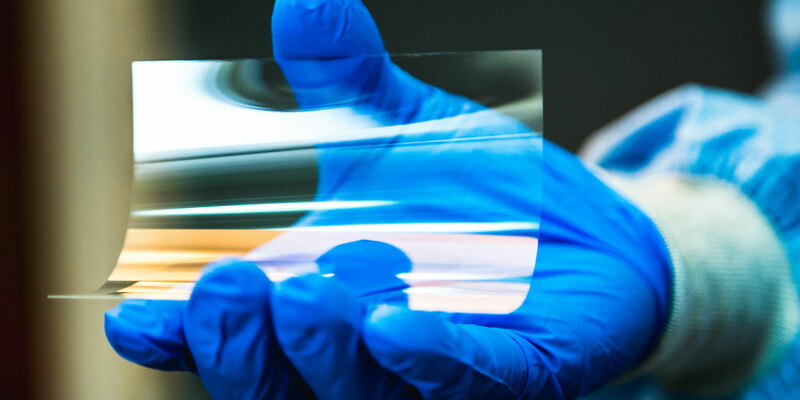 Adenso underlines its innovative position in the specialist field with its own concepts and machines for highly sensitive materials such as ultra thin glass (UTG). 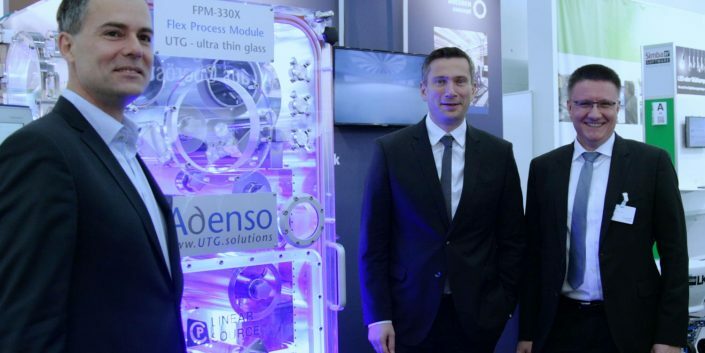 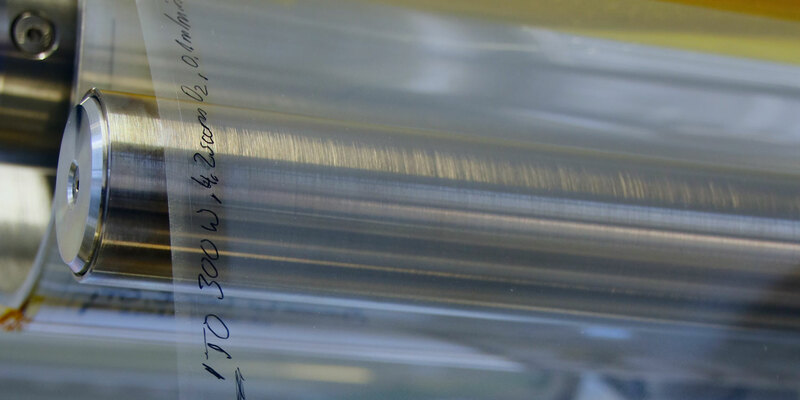 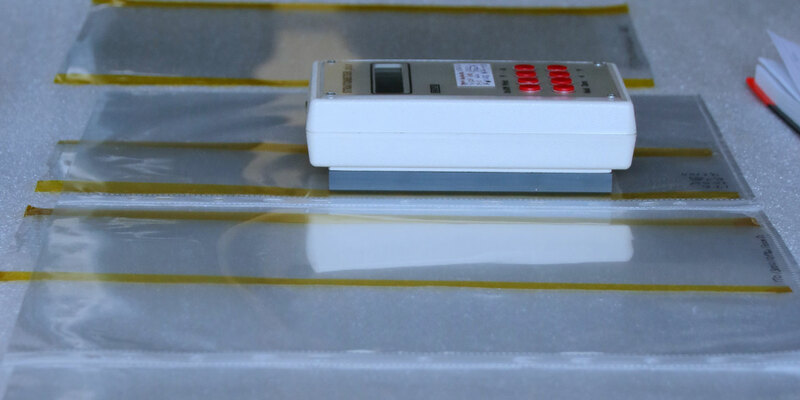 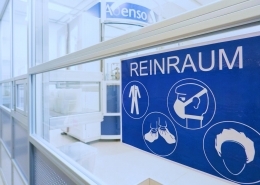 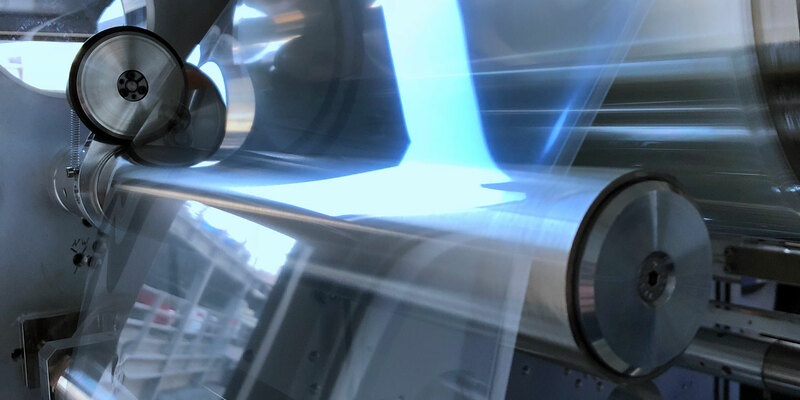 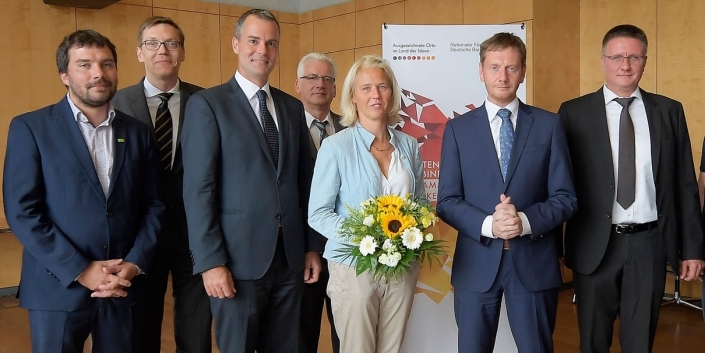 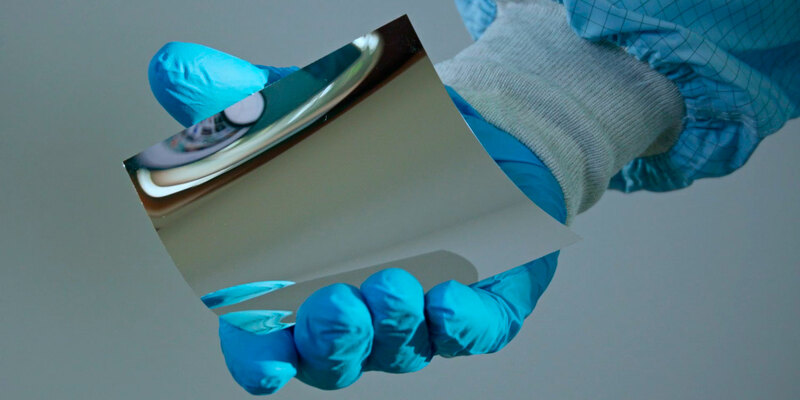 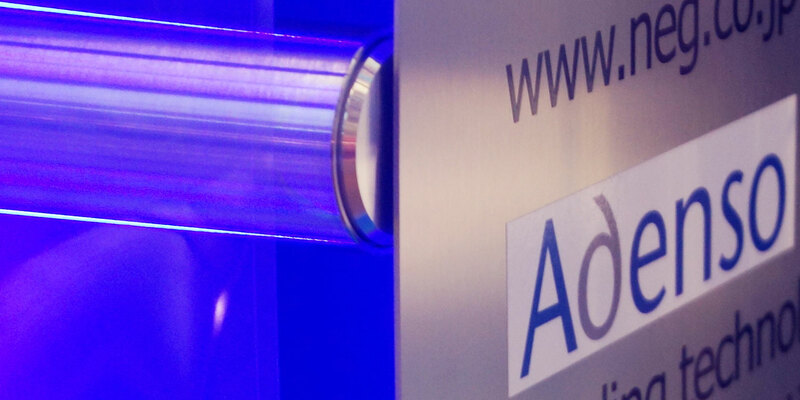 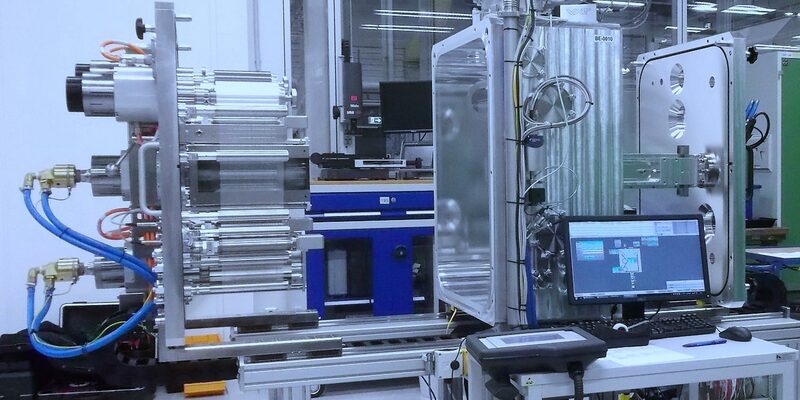 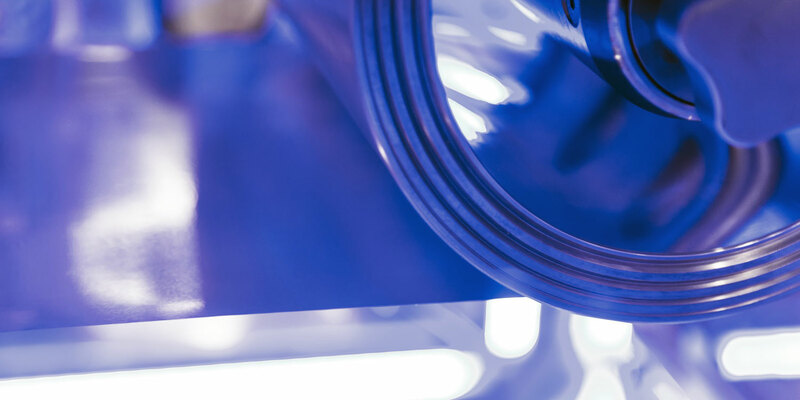 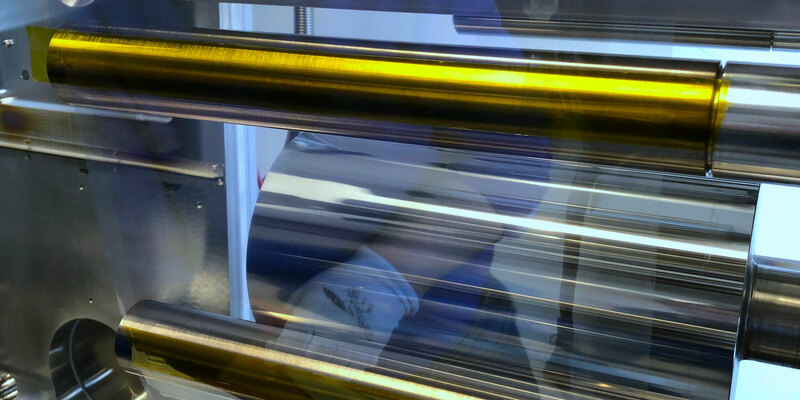 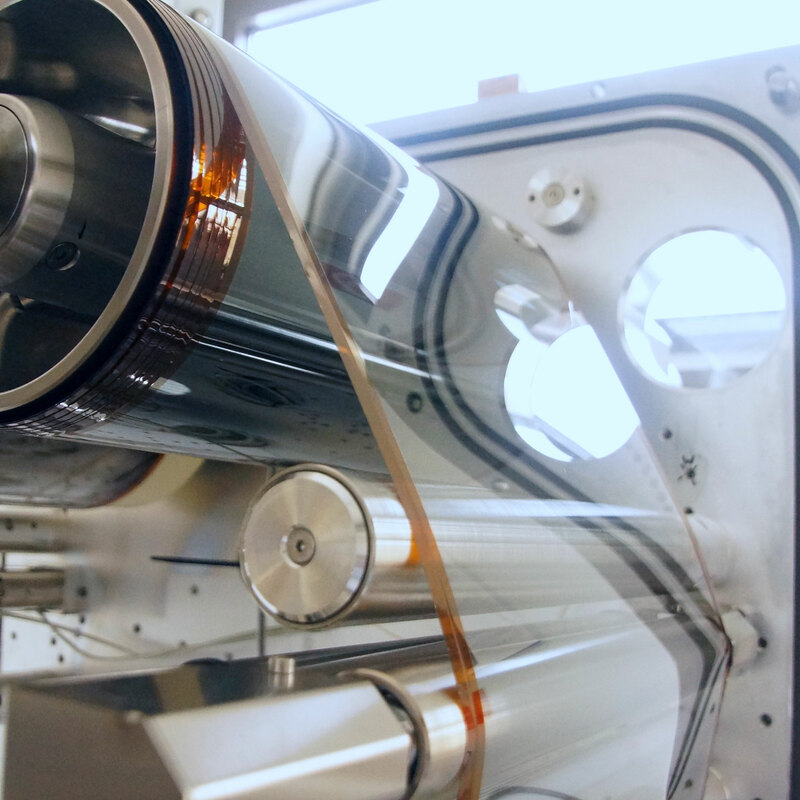 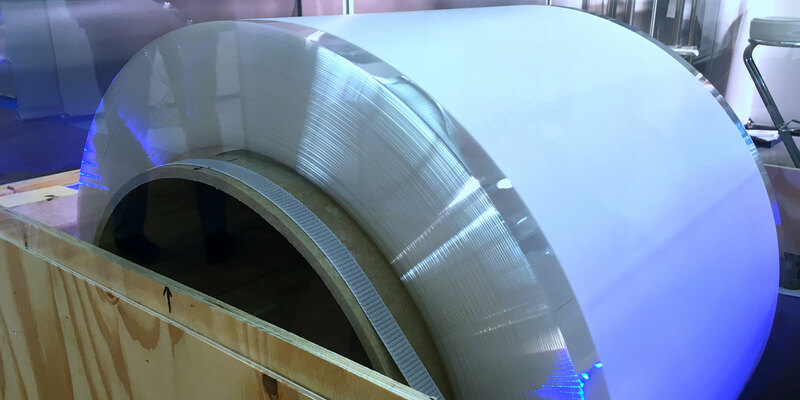 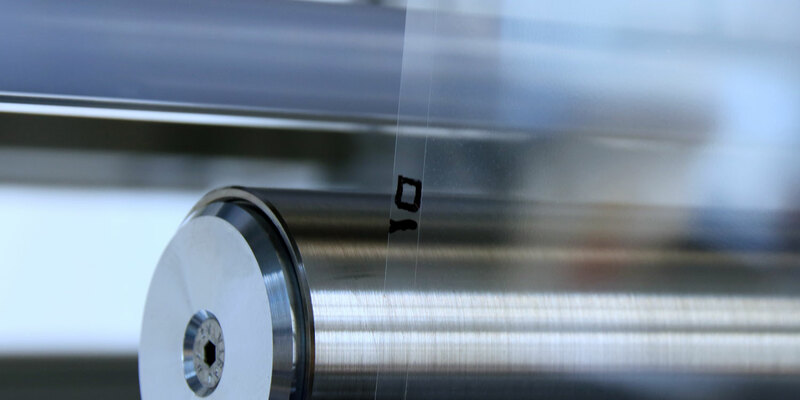 Customer-specific laminating solutions for research and production have been one of the main tasks of the Adenso development engineers since the company started its development activities in the field of thin glass. 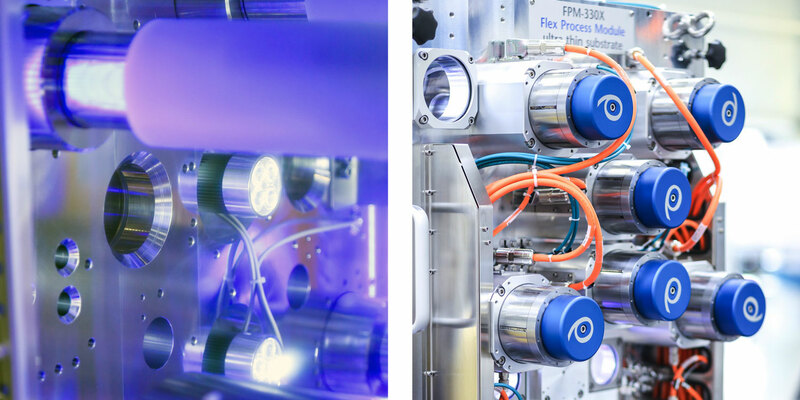 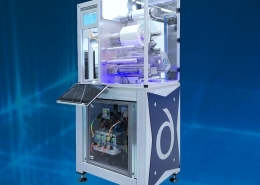 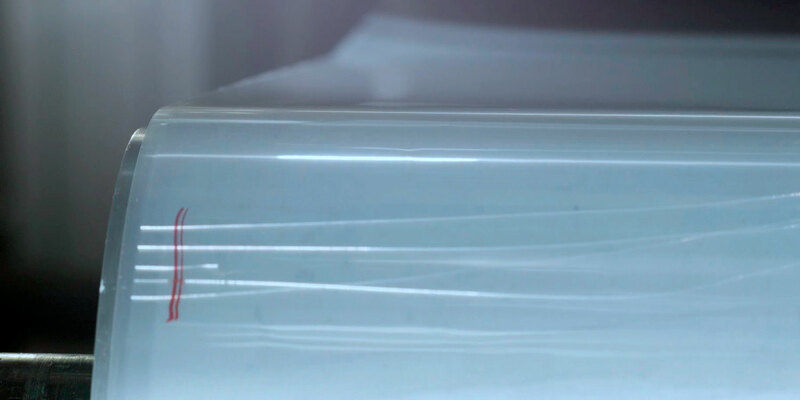 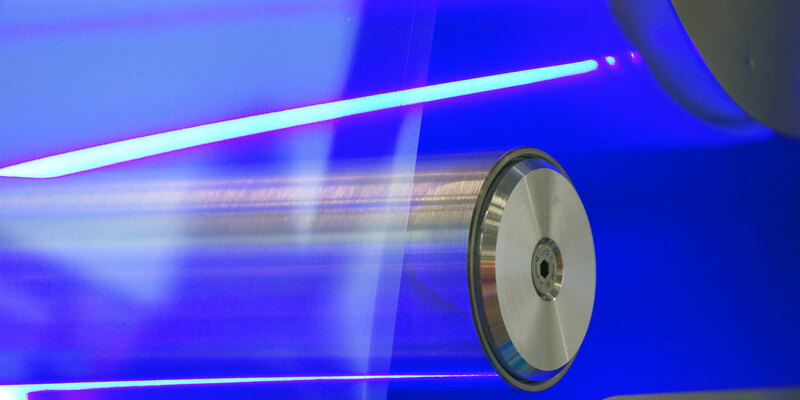 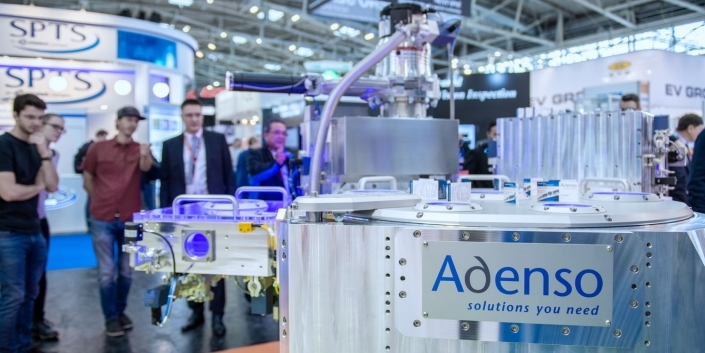 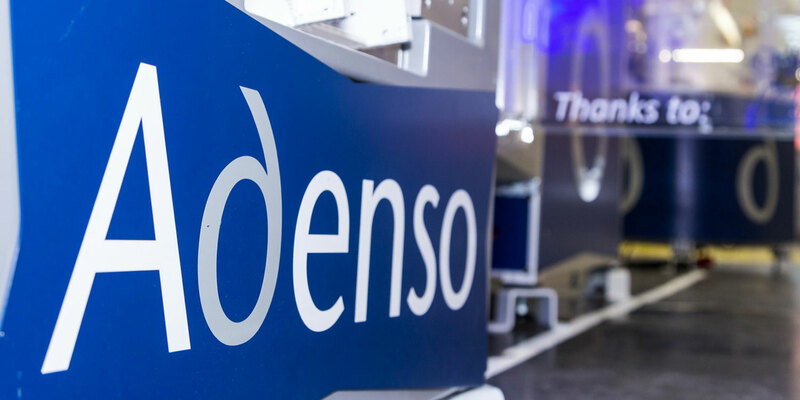 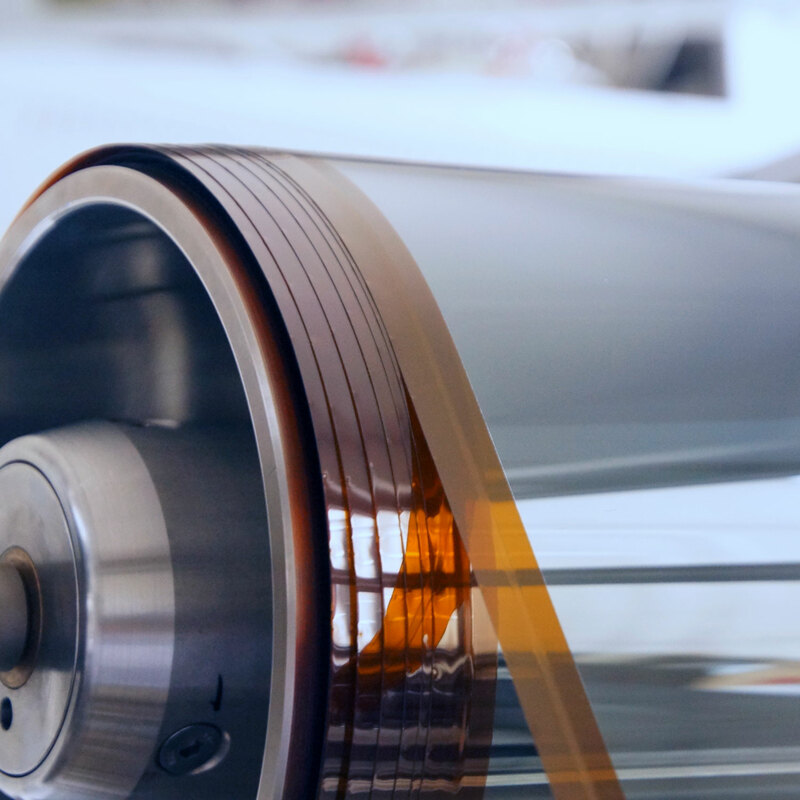 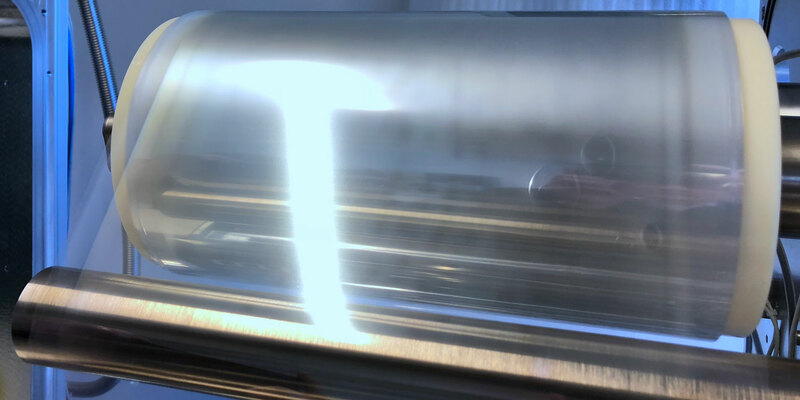 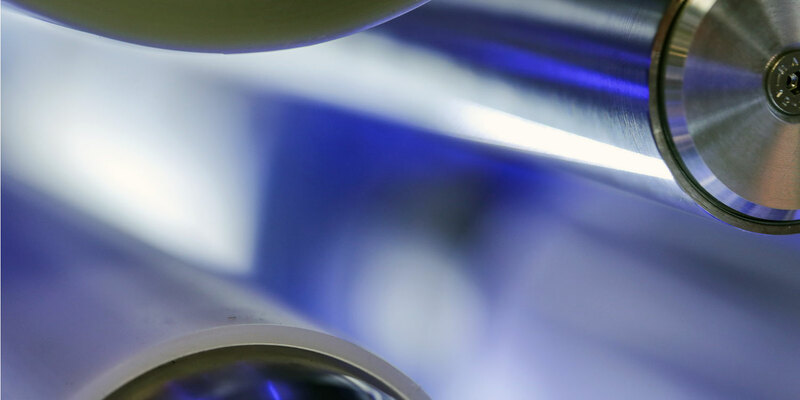 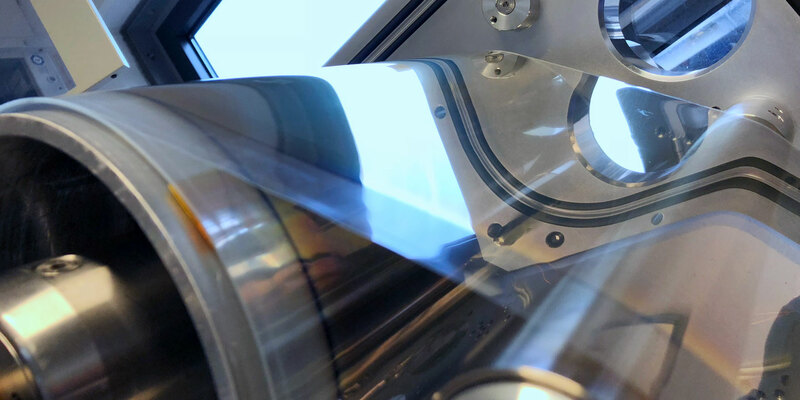 From batch laminating systems for research all the way to fully automated in-line laminating systems, Adenso offers everything from a single source – tailored to your specific needs, requests and requirements. 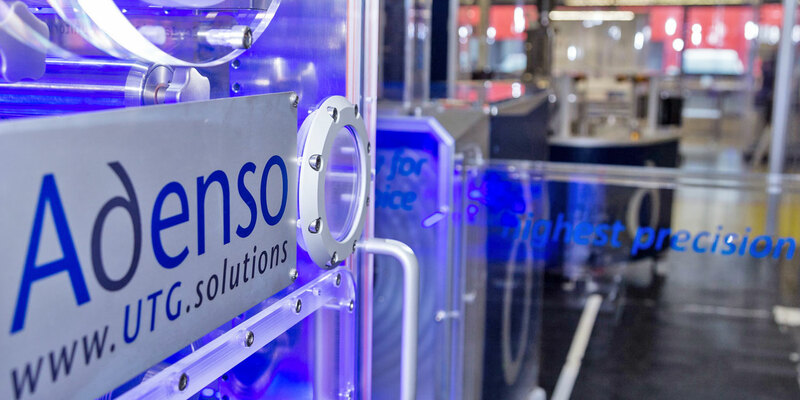 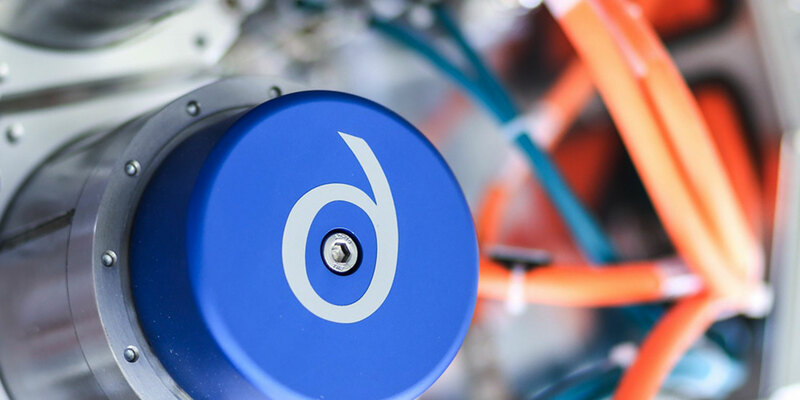 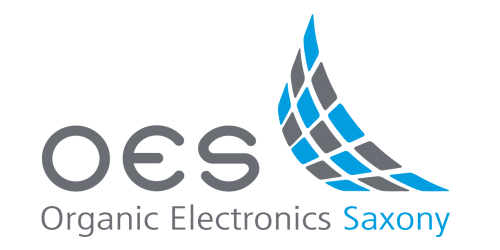 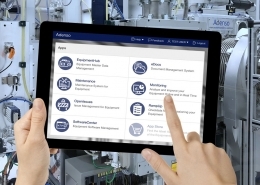 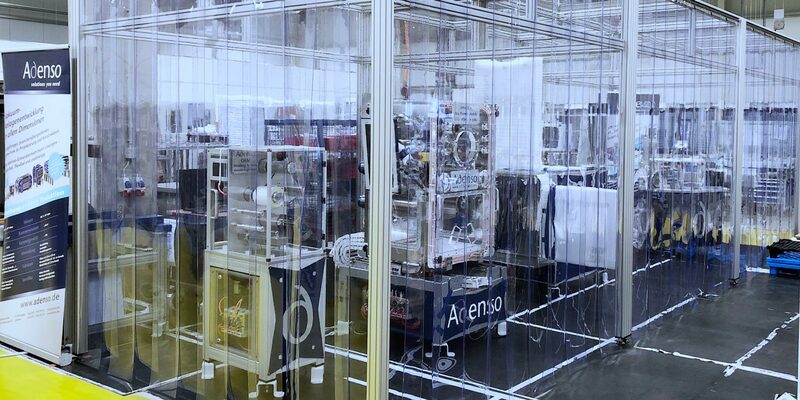 Driven by customer requirements to increase quality and productivity while simultaneously lowering costs and a keen eye for niches and gaps in the market, Adenso is permanently developing products and special solutions. 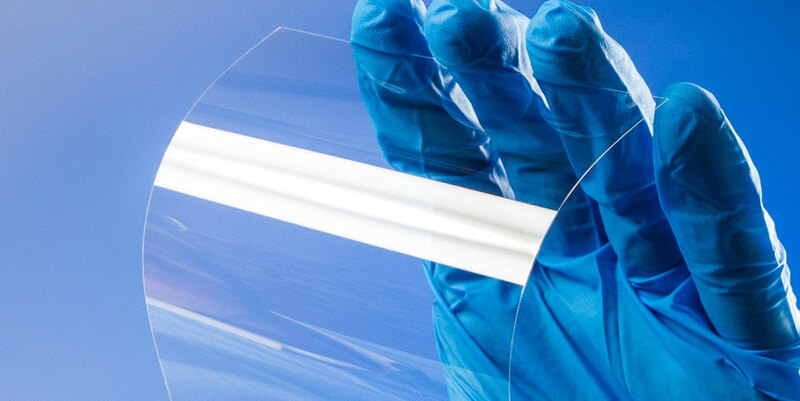 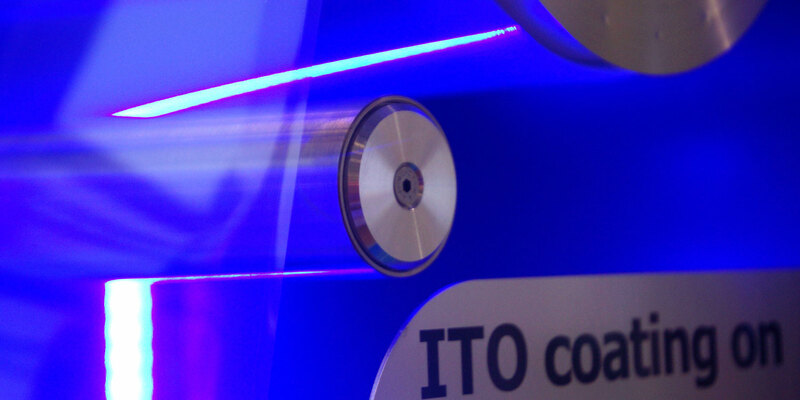 Gas sepration system, optimised for flexible substrates, and thin glass in particular. 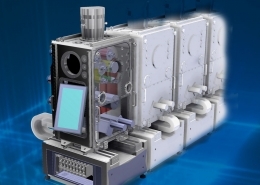 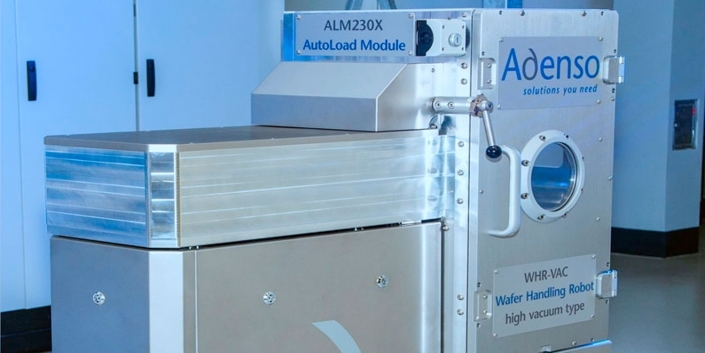 Available as a multi-stage system for use in high-vacuum environments. 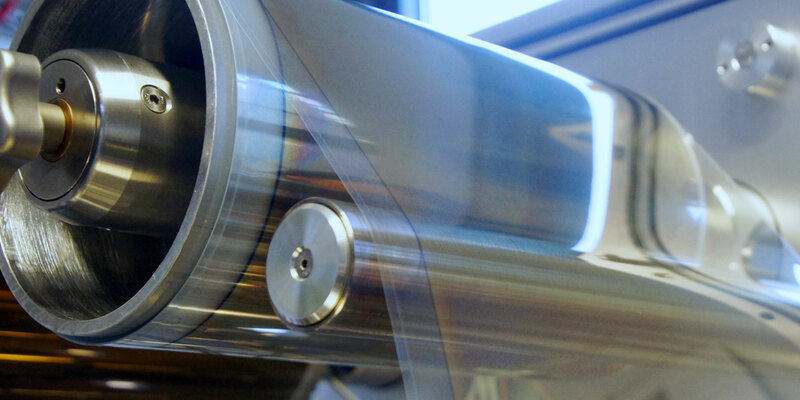 Load lock system for sensitive substrates. 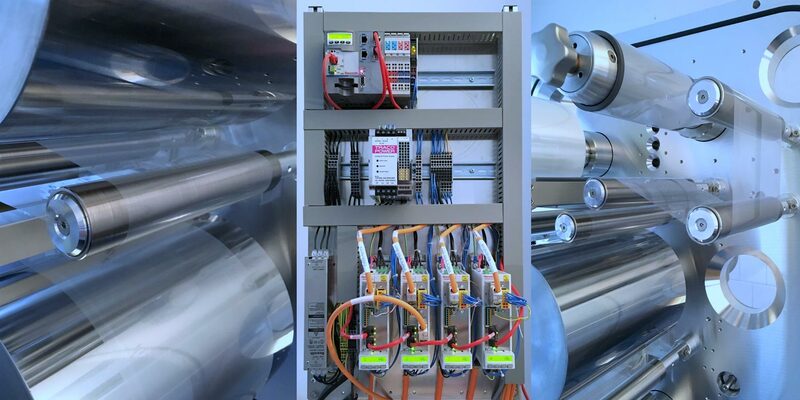 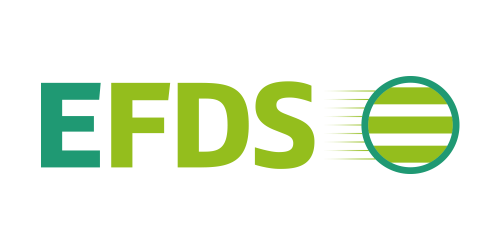 This provides the possibility to configure ATM-VAC-ATM combination systems for atmospheric processes (ATM) and vacuum processes (VAC). 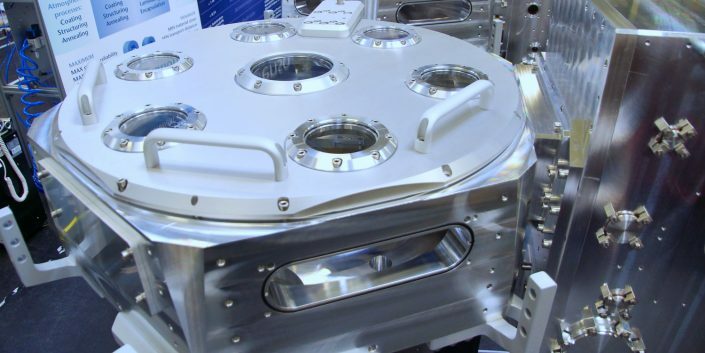 Optional radiation traps allow EB electron beam components to be used within the high-vacuum sections. 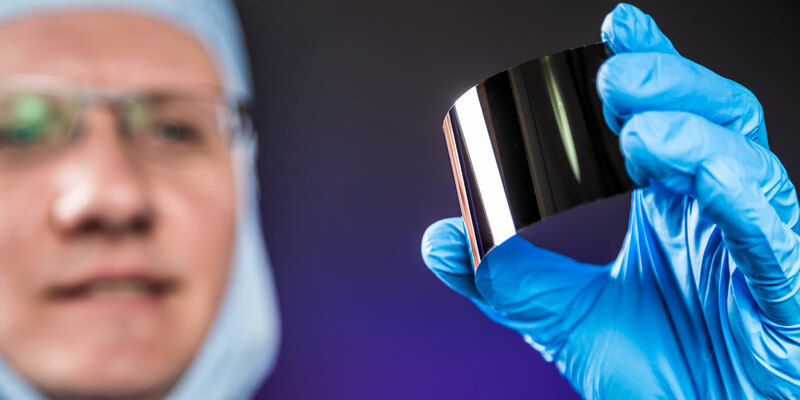 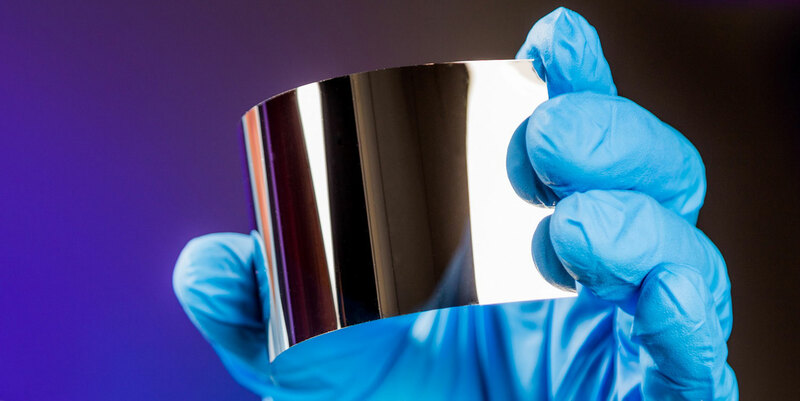 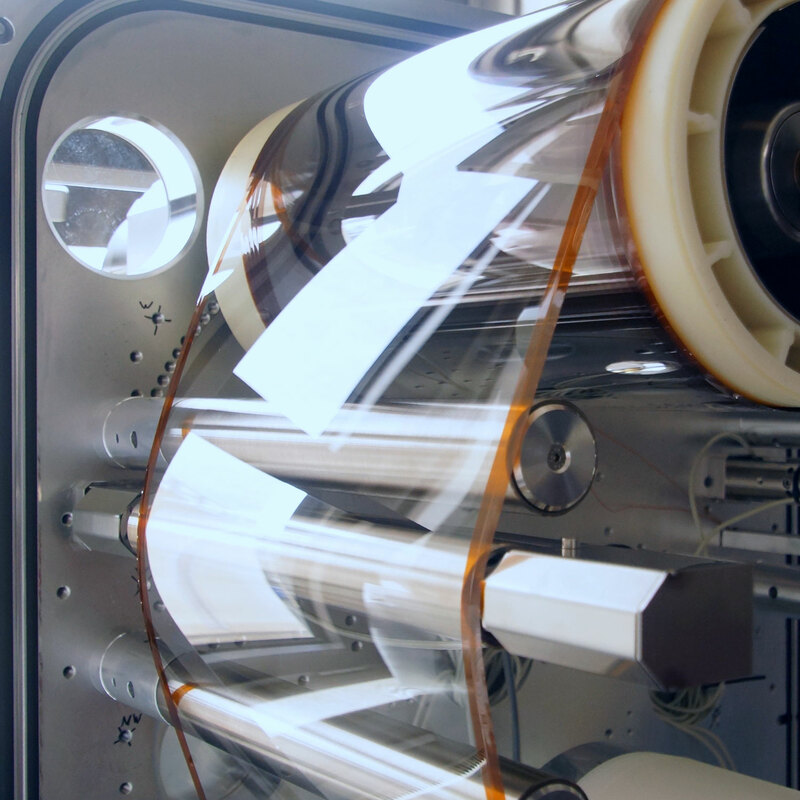 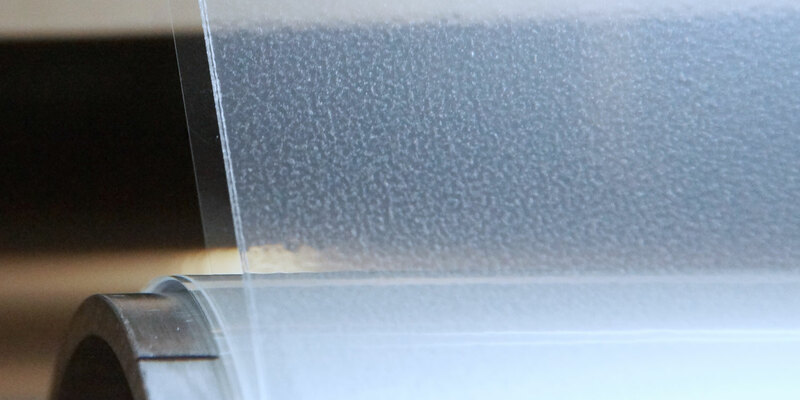 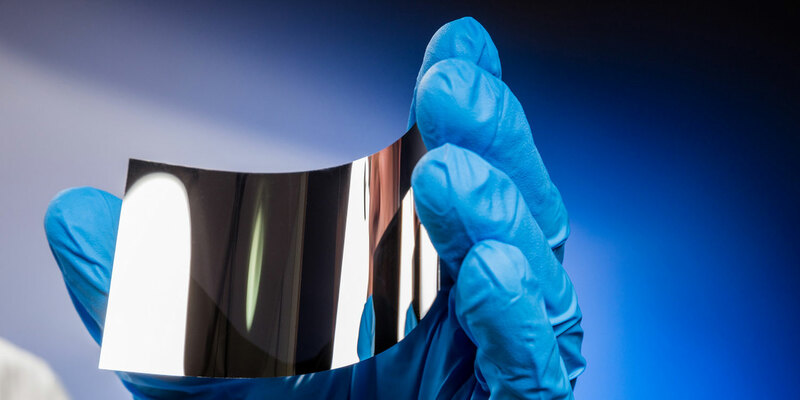 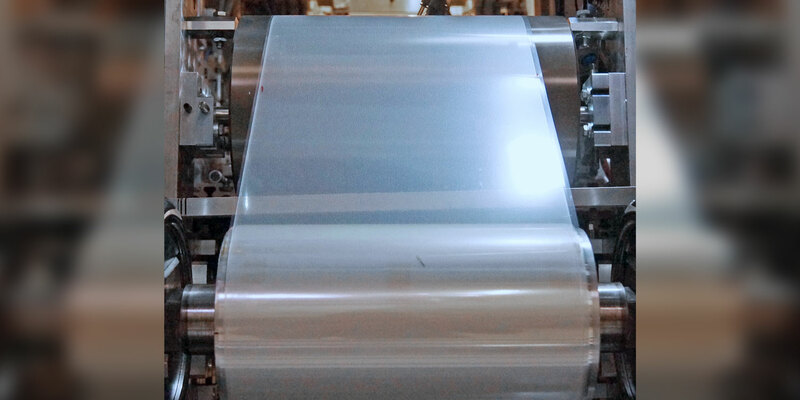 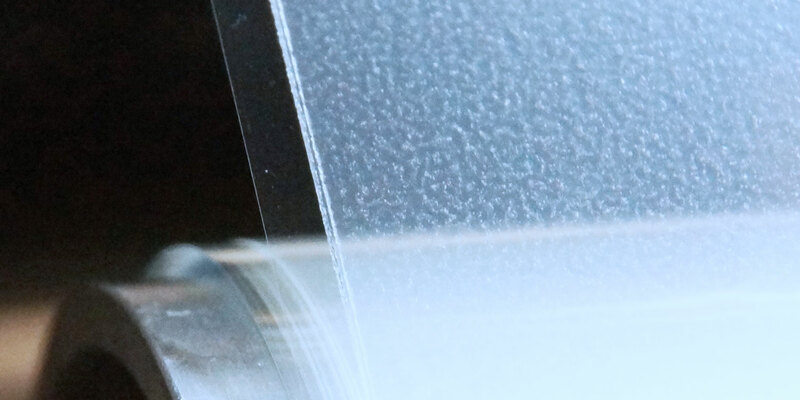 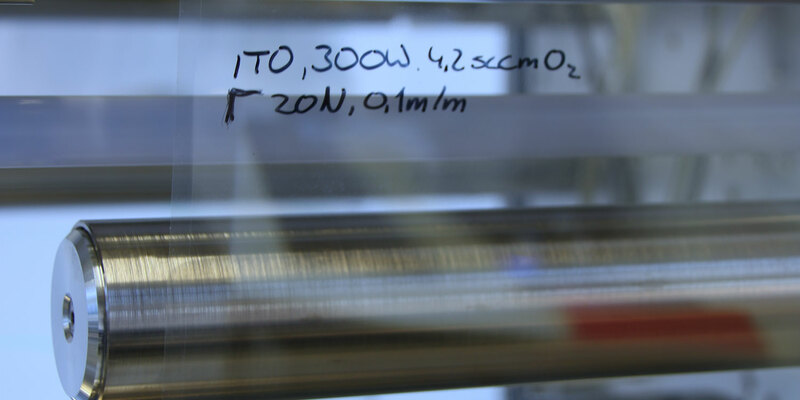 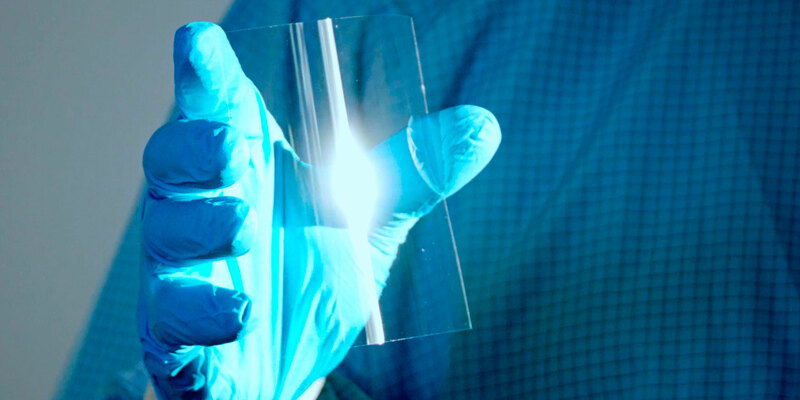 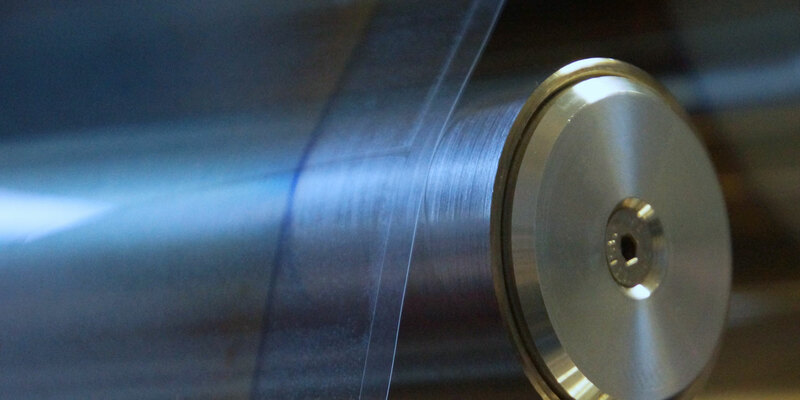 When sensitive substrates such as thin glass are stored in the form of a coil, they require an intermediate layer. 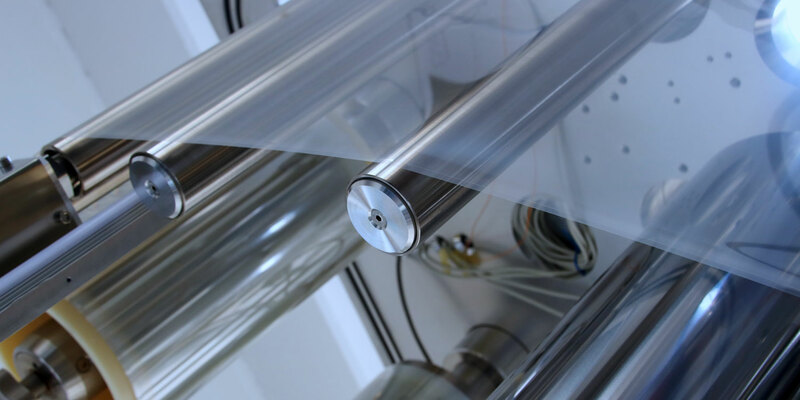 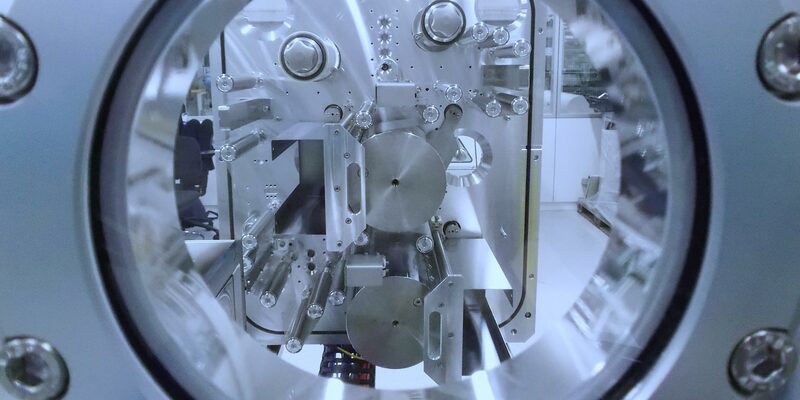 Winding systems for thin glass can be equipped with unwinding and wind-up devices for such intermediate layers. 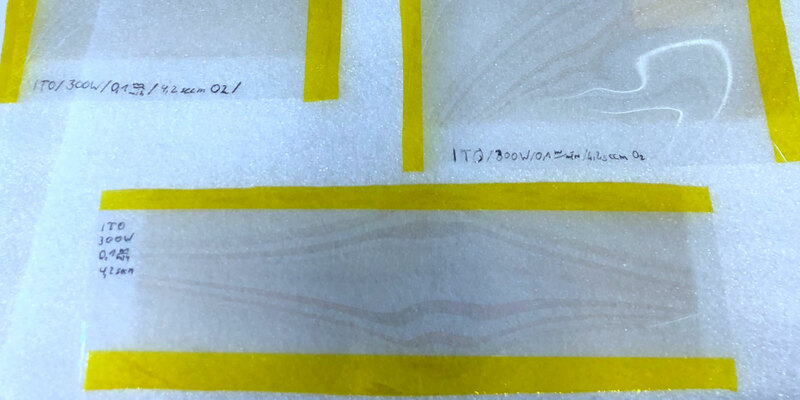 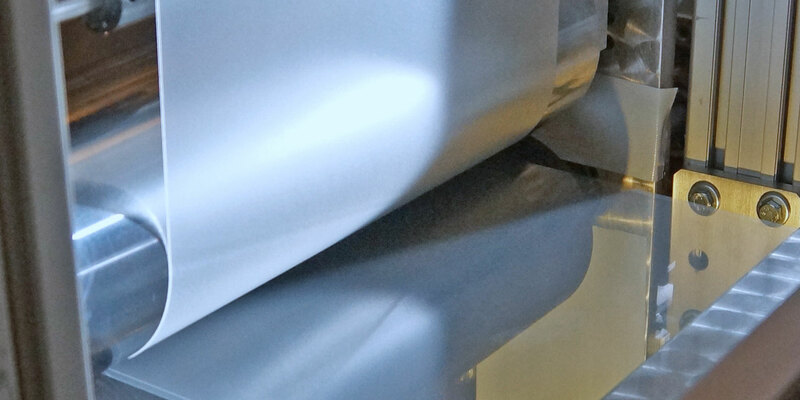 Protective layer for sensitive substrates; available for front and back sides. 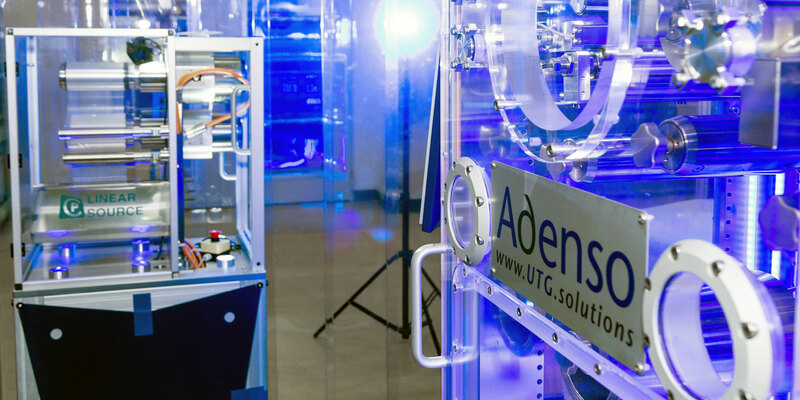 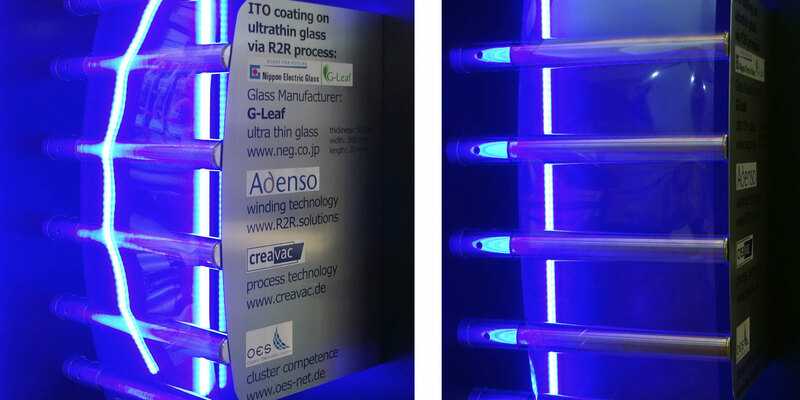 Adenso’s competence when it comes to handling and processing flexible glass using the R2R (roll-to-roll) method comes from our many years of working with flexible materials and the more than 300 successful projects we have carried out in the fields of research and production – for processes in an atmospheric environment, under inert gas (glovebox), as well as in high and ultra-high vacuum environments. 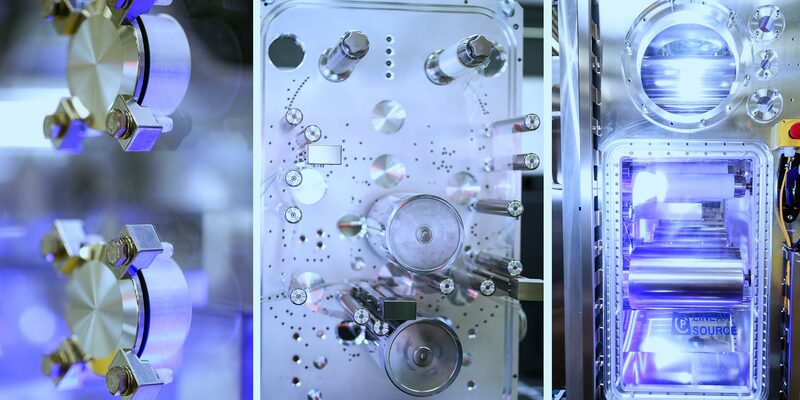 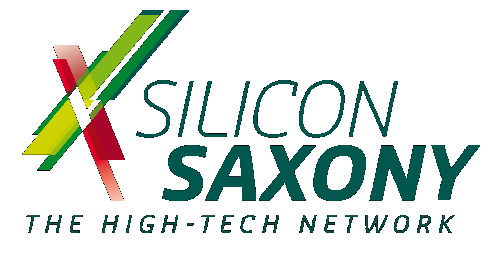 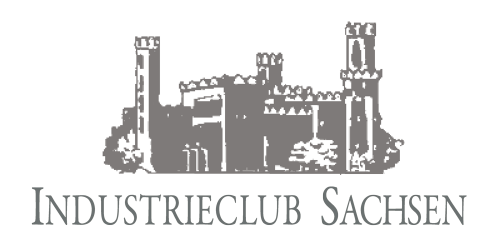 scalable: The consistent modular design ensures that you can implement your ideas and processes in the future, too! 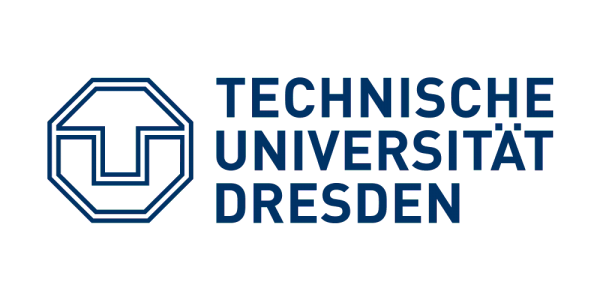 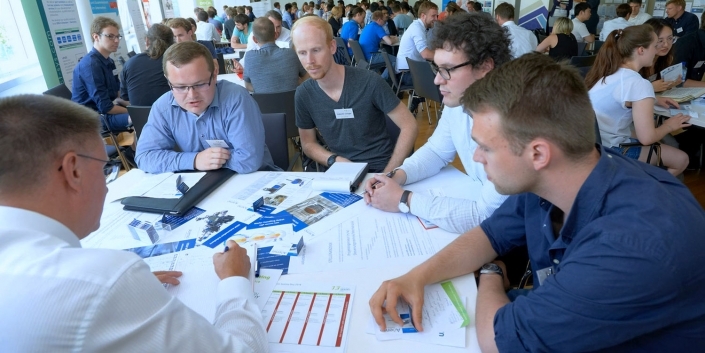 Join us to discover and discuss the possibilities of this easy way to open up completely new business fields in the UTG area!